Eden Hazard might want to join Real Madrid but the Belgium star will not try to force through a move, according to Chelsea team-mate Alvaro Morata. Hazard has made no secret of his desire to play for the LaLiga giants at some stage and said after Chelsea's victory over Southampton on Sunday: "It is my dream since I was a kid." The forward's stunning form this season - he tops the Premier League scoring charts with seven goals - has intensified speculation he could leave. 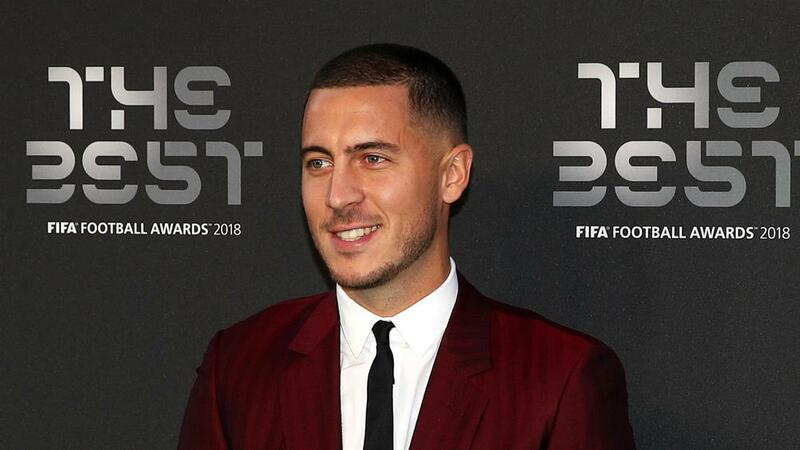 And with Hazard's contract set to expire at the end of the 2019-20 campaign, Chelsea may have to cash in on their prized asset or risk losing him for nothing. Hazard's fellow Belgium international Thibaut Courtois joined Madrid in a cut-price deal in the previous transfer window having entered the last year of his contract at Stamford Bridge. "We've said that it's not that he wants to leave Chelsea but if Madrid come in for him, that won't be an obstacle," former Madrid striker Morata said to Spanish broadcaster Cuatro. "The thing is that he has a very good relationship with the club, he's happy there and it's not like other cases when a player wants to leave a club at any cost, but if it's good for Chelsea they will keep that in mind."